We will provide you with a free estimate, including a paper copy. We can also give you additional paper and/or electronic copies of the estimate for third party payors. The precision of our measurements helps to ensure even the smallest problems are discovered and addressed. We offer computerized alignments. Hunter Engineering Company is an awarding-winning research and development team responsible for hundreds of patented and exclusive features that make Hunter products both productive and reliable. 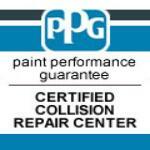 We provide expert color matching, and our three baking ovens ensure a like-new factory finish for your vehicle. 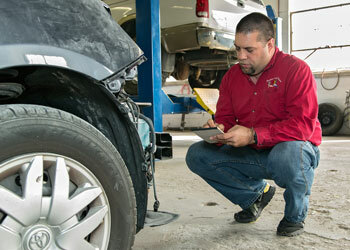 We're proud to be certified by the National Institute for Automotive Service Excellence (ASE). We're also certified by the Inter-Industry Conference on Auto Collision Repair (I-CAR), a training organization focused on education, knowledge, and solutions for collision repair.